Famous Social Networking website has turned 10 on Tuesday, Feb 4. The Company Facebook was launched by a yound and dynamic Mark Zuckerberg on Feb 4, 2004, a student at Harvard University. Facebook is a giant social networking site which provides a platform to millions of friends and family members to stay connected with each other and share stories, videos, snaps with each other. Facebook is how much popular can be estimated with a fact that it has 1.23 billions of active users. 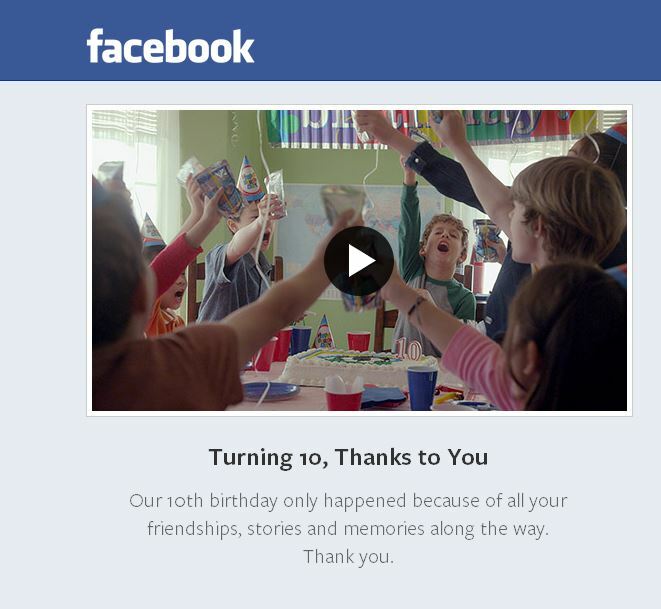 Facebook is celebrating its 10th anniversary with the LookBack where users can view their most liked photos and status as a lovely reminder. Facebook’s engineering lead on the project, Nick Kwiatek, says on LookBack – “One of the things that motivated us was that there’s really only a handful of companies that could take on something like this — that could render videos for as many people as we can,”.